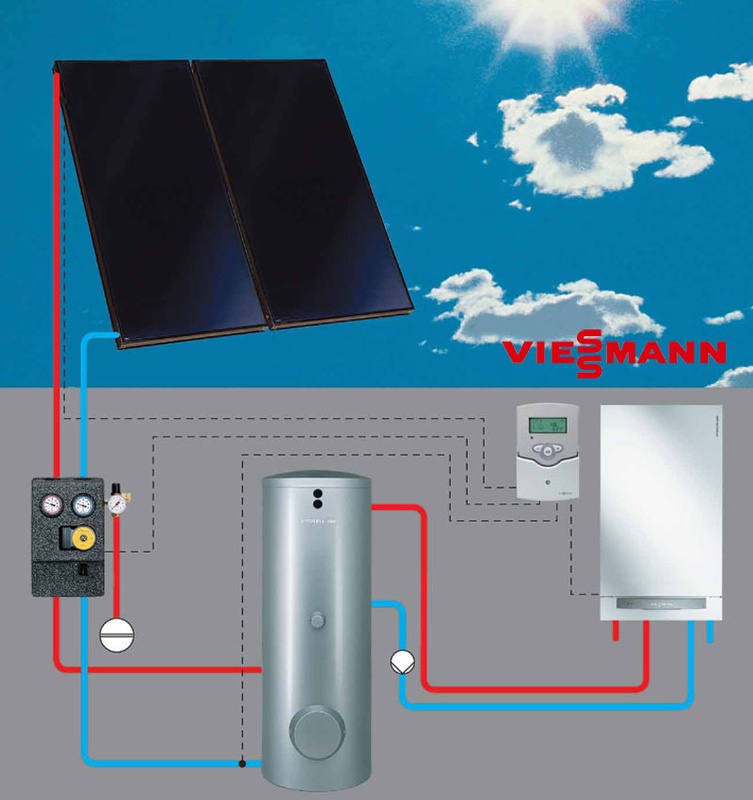 At JW & DE Ryan we feature two exceptional solar thermal lines: Buderus and Viessmann. Both companies offer state-of-the-art European solar technology. Viessmann features both flat plate and evacuated tube collector system. Buderus offers evacuated flat plate collectors. Heating water is the second largest energy load in most homes, just behind space heating. Installing a thermal solar water heating system will save you significant money and help protect the environment. A residential solar water heating system in Vermont saves a typical family up to 80% of their hot water demands in the summer, 65% in the fall and spring, and 50% in the winter. In addition, your system will prevent the equivalent of 20,000 car miles of greenhouse gases from entering the earth's atmosphere. Solar water heating is a great way of staving off increasing energy costs and you will receive a tax credit of 30% of the total system cost. Experts agree, a solar water heater is far and away the easiest initial investment in renewable energy. 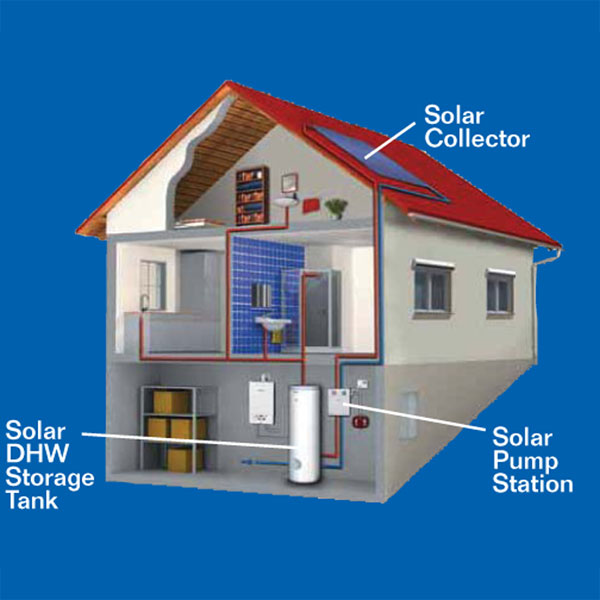 The collectors turn the sun's energy into heat, which is transferred to the water in either your hot water tank or a dedicated solar hot water tank via piping loops from the collectors. This loop is filled with bio-degradable antifreeze solution, which stays inside the collectors and piping at all times. Whenever the sun shines on the collectors, the circulating pump comes on, and the solar fluid circulates within the closed loop. The fluid gets hot inside the collectors and travels through the piping to a heat exchanger inside the solar heated water which transfers the heat from the antifreeze water inside the storage tank, which stores the heated water for your use. When the sun is not shining, the circulating pump simply turns off, and the fluid stops circulating. There are two popular kinds of solar water collectors, the traditional flat plate and the recently more common evacuated tube systems. Each technology has its strengths and weaknesses, this is why JW & DE Ryan is one of the few solar contractors in the region that carries both technologies. Because we are not biased you will receive an honest appraisal of your site. Our engineering staff will design your system with the most cost effective solution, and then our installation team will install it on your house or business.